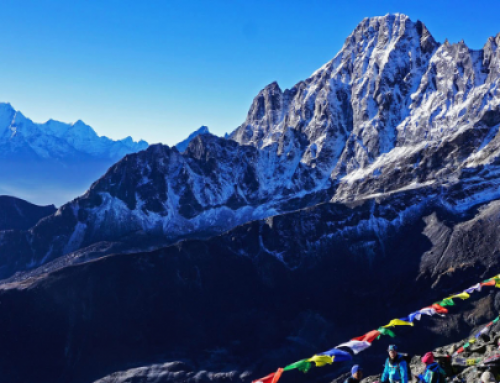 The Karnali Excursions Sherpa Culture Trek is a well-crafted itinerary that allows the trekkers to witness magnificent mountain peaks, visit ancient Buddhist monasteries and learn more about the traditions of the legendary Sherpa people of the Khumbu region. Sherpa is the combination of two different words: – Sher and Pa. Sher means east whereas Pa means people in the local Sherpal language. So, Sherpa literally means people from east, and rightly so because Sherpa people migrated into Nepal from eastern provinces of Tibet almost 400-500 years ago. Ever the since, Sherpa people have been living in the remote and isolated valleys of Nepal. Sherpa people practice Buddhism and they have developed their own culture, traditions and customs. Since the early Himalayan expeditions the hard-working, honest and brave Sherpa people have gained their reputation in the mountaineering and adventurous sectors in and outside Nepal. DAY 1: Arrive at the Kathmandu Airport and transfer to the hotel. DAY 2: Fly to Lukla and trek to Monjo (2,835m) or Phakding (2,640m). DAY 3: Trek to Namche Bazaar, the capital Bazaar of Sherpa people of Khumbu Region (3,440m). DAY 4: Rest day to enjoy breathtaking views of high mountains including Mt. 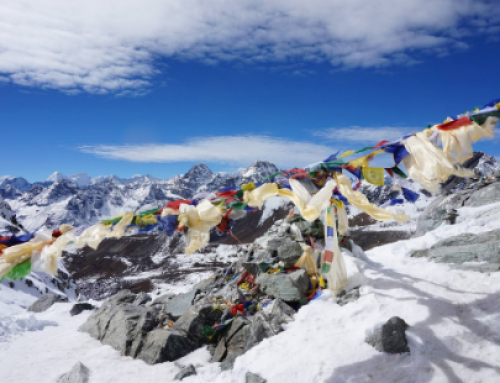 Everest, Lhotse, Ama Dablam and trek to Thame (3,800m). DAY 5: Trek to Khumjung Village, the typical Sherpa village and visit the Khumjung Monastery to see the Yeti skull. 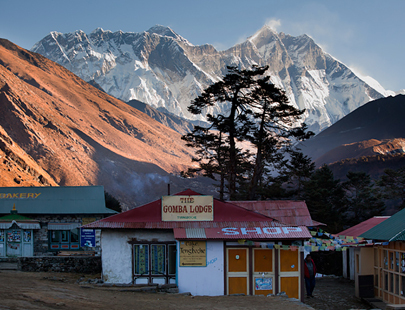 DAY 6: Hike to Everest View Hotel for sunrise and Everest views and trek to Tengboche Monastery (3,800m). DAY 7: Trek to Monjo (2,835m). DAY 8: Trek to Lukla (2,840m). DAY 9: Fly to Kathmandu Airport and drive to the hotel. DAY 10: Transfer to the Kathmandu Airport for the flight home.